Woodcliff Lake, NJ – October 7, 2013…The arrival of the new BMW R 1200 GS Adventure heralds the beginning of a new chapter in the success story of BMW Motorrad’s large, boxer-engine GS models that dates back more than 30 years. 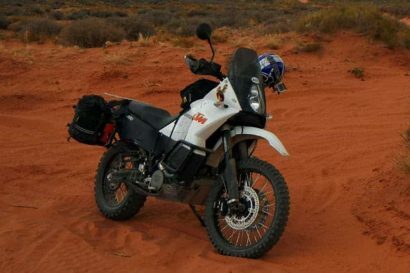 Since its debut in 2005, the big GS Adventure has been firmly established as the definitive machine for long-distance travel. It transports two-wheeled explorers to the farthest-flung corners of the world and allows them to keep pressing on when others have long since turned back. The new R 1200 GS Adventure continues in this same tradition. 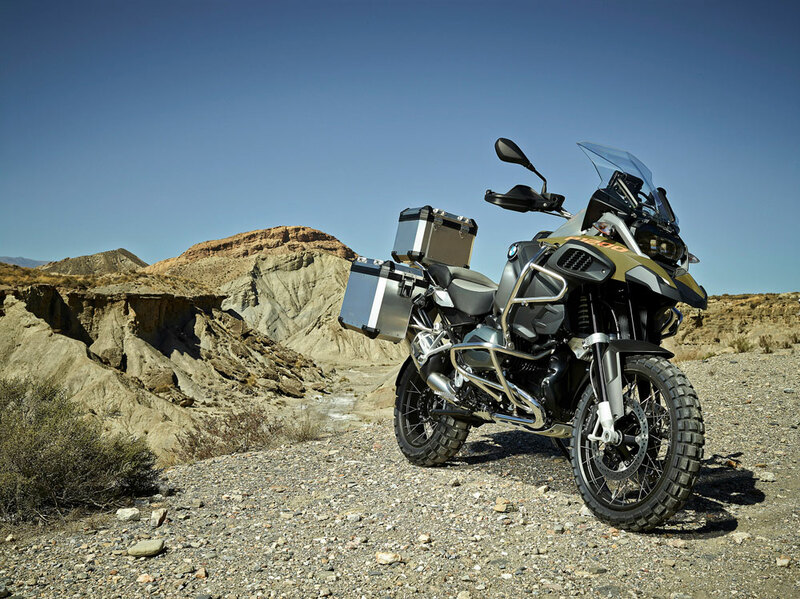 Building on the dynamic performance characteristics and superb off-road and touring capabilities of the R 1200 GS, the latest BMW large capacity enduro provides the new, ultimate solution for globetrotters, travel enduro aficionados and touring riders with a passion for off-road action. 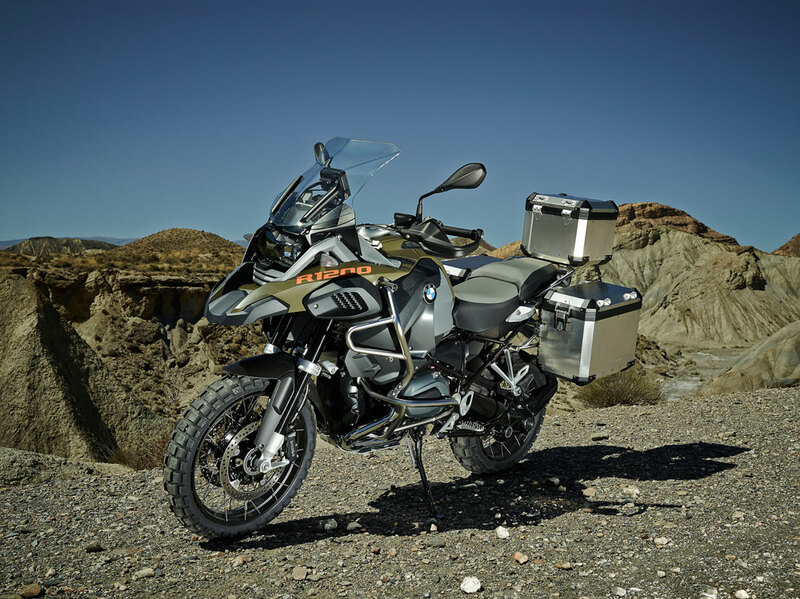 The new R 1200 GS Adventure is powered by the same spirited air/liquid-cooled boxer engine featured on the R 1200 GS, with a displacement of 1,170 cc and an output of 92 kW (125 hp) at 7,750 rpm. The stand-out feature of the power unit – introduced last year after being newly developed for the R 1200 GS – is the new precision cooling system which uses water instead of oil as a cooling agent. Also new is the engine’s through-flow (intake/exhaust), which is now vertical for even more efficient power output, as well as the six-speed gearbox that is integrated into the engine housing along with the wet clutch. For the first time on a BMW production motorcycle, the maintenance-free cardan-shaft drive is now positioned on the left-hand side. To enhance rideability, especially on off-road terrain, the drive’s flywheel mass has been increased by 2.1 lbs. and an extra vibration damper has been incorporated into the powertrain. 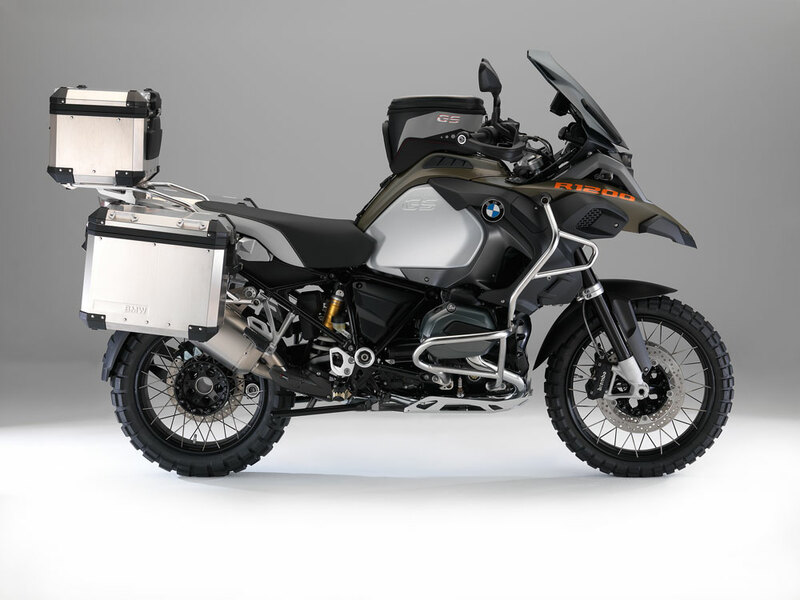 The big BMW GS Adventure is an icon among large-capacity travel enduros and has been a top choice for world travelers on long-distance tours, even to the remotest regions of the planet. No matter whether it is negotiating tarmac roads, gravel tracks or rough terrain, the large-capacity GS Adventure gets its riders safely to their destination. This both compelled and inspired BMW Motorrad to make the new R 1200 GS Adventure even better in every way. 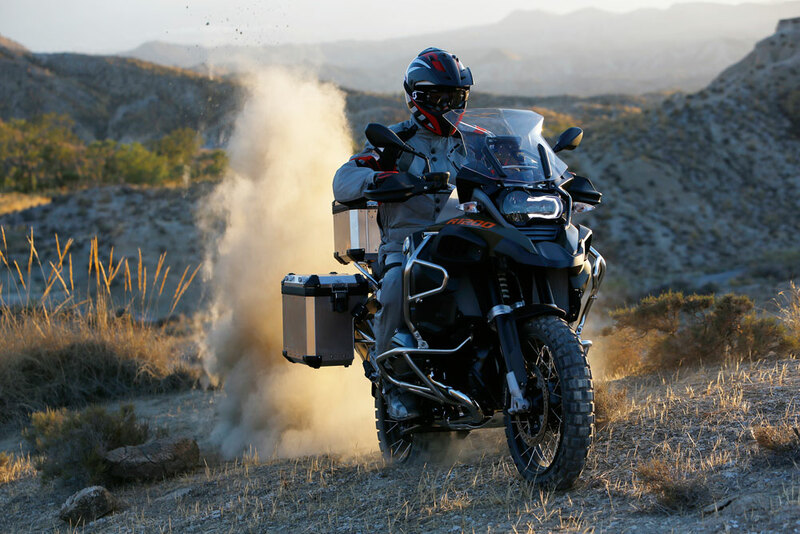 Besides new bodywork styling with an even stronger character, the globetrotting abilities and greater off-road expertise of the new R 1200 GS Adventure are clearly brought to the forefront by a new chassis set-up with an additional 0.8 inches of spring travel, increased ground clearance and a trailing arm with modified geometry for even better handling. A larger windshield with convenient hand-wheel adjustment, additional air flaps as well as hand guards greatly increase wind and weather protection. Wide enduro footrests, adjustable, reinforced foot-operated levers and completely restyled bodywork add the finishing touches to the look of the new R 1200 GS Adventure. 90% full: 573 lbs. 525 lbs. Max. load: 485 lbs. 467 lbs. 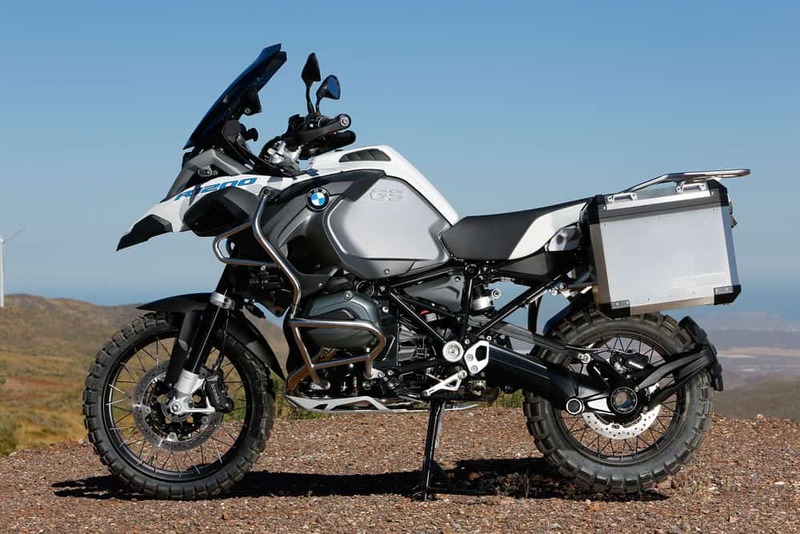 Like the R 1200 GS, the new R 1200 GS Adventure also features the newly developed twin-cylinder boxer engine with an output of 92 kW (125 hp) at 7,750 rpm and a peak torque of 125 Nm (92 lb-ft) at 6,500 rpm. The new power unit has a displacement of 1,170 cc, as did the engine on the previous model. It still relies on air/liquid cooling, but with water instead of oil as the cooling agent – the water’s higher heat absorption capacity ensures more efficient heat dissipation. With this system of precision cooling, as it is known, only the parts of the engine that are particularly exposed to thermal stress are cooled by the coolant. The engine continues to be air-cooled too, thereby preserving the characteristic appearance of the boxer unit and its ability to handle tough operating conditions. The flywheel mass of the boxer engine’s crankshaft was increased by 2.1 lbs. on the new R 1200 GS Adventure. 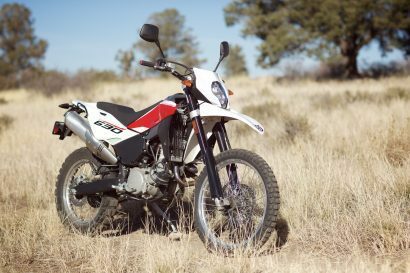 This results in even smoother engine running and is of particular benefit when riding off-road at low speeds and low revs, such as when negotiating tight trails. The running characteristics are further enhanced by an additional vibration damper between the gearbox output and the cardan shaft. 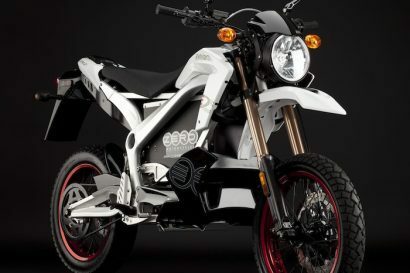 Thanks to the E-gas ride-by-wire system, the rider’s inputs are relayed by a sensor on the throttle twist grip directly to the engine management, which adjusts the opening angle of the throttle valve accordingly. This produces a significant improvement in the new power unit’s controllability and response, while the introduction of the standard riding modes further enables the rider to adapt the engine’s character to the situation at hand. For optimum adaptation to the rider’s individual needs and the intended use, the new R 1200 GS Adventure comes equipped as standard with two riding modes along with Automatic Stability Control (ASC). The ride characteristics can be adapted to most road conditions with the help of the two standard riding modes, “Rain” and “Road”. Together with the ABS system, also standard, ASC substantially increases the range of use of the new R 1200 GS Adventure, while also providing a significant safety boost on slippery surfaces. 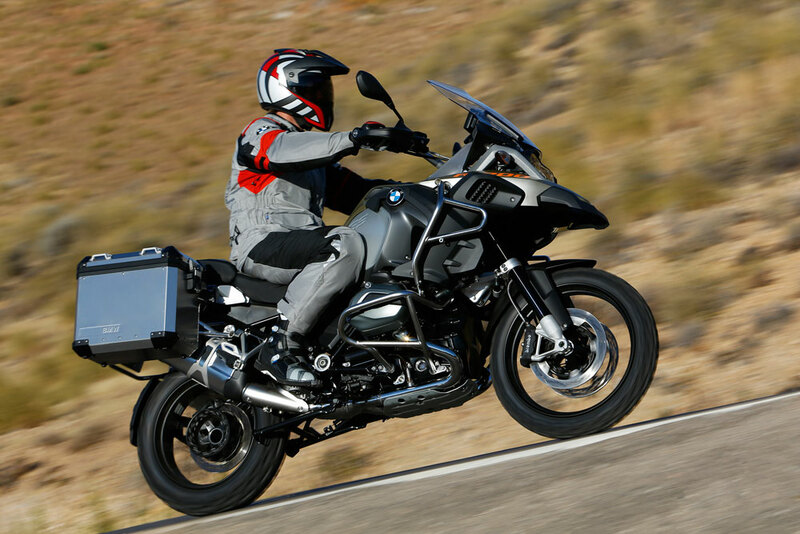 The new BMW R 1200 GS Adventure can really show off its sporty prowess out on the open road in Dynamic mode. The engine is tuned for direct throttle response, while restrained intervention by the ASC system enables the skilled rider to drift out slightly. ABS is once again configured for on-road use. If the optional Dynamic ESA is fitted, a firm damping set-up allows the motorcycle’s full potential to be unleashed. More ambitious enduro riders can engage the Enduro Pro mode to tap into the full off-road potential of the new R 1200 GS Adventure. This riding mode – with its spontaneous engine response – is designed for use with knobby tires. Plus, when the footbrake lever is operated, the ABS function is deactivated at the rear and the optional Dynamic ESA switches to a firmer setting. 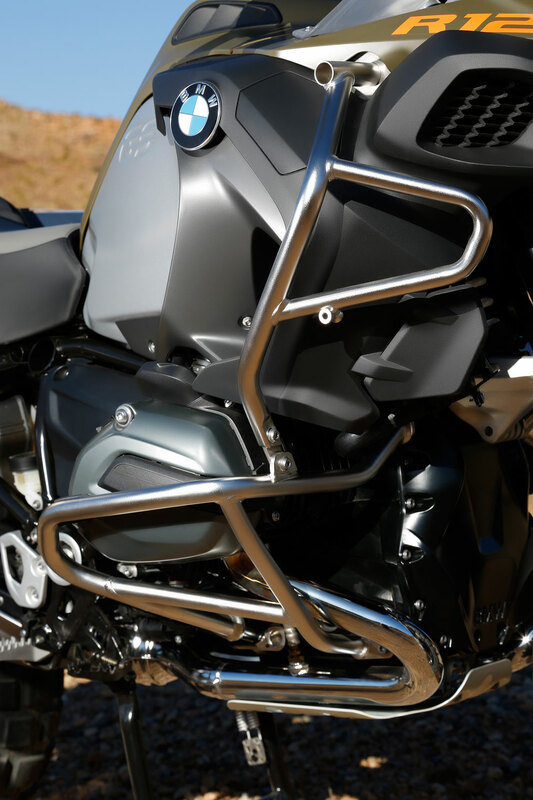 The chassis of the new R 1200 GS Adventure is based on the all-new, continuous tubular steel bridge frame with a bolt-on rear frame featured on the R 1200 GS. The telelever at the front and the paralever at the rear have been re-engineered, resulting in a significant increase in torsional stiffness and ride precision compared to the predecessor model. The chassis’s geometry has been further refined to optimize handling. The R 1200 GS Adventure comes with an extra 0.8 inches of spring travel at the front (8.3 inches) and rear (8.7 inches) and 0.4 inches more ground clearance than its predecessor to make it even more suited for off-road riding. The new Adventure model is equipped with a steering damper as standard and also features a longitudinal control arm with specially adjusted geometry to further improve its handling characteristics. The center and side stands have been adapted to allow longer spring travel. Like the R 1200 GS, the new R 1200 GS Adventure is equipped as standard with a halogen main headlight with optimized light output. For even greater illumination of the road ahead and safety, both day and night, an LED main headlight with daytime running light (low beam) is available as a factory option, featuring state-of-the-art LED technology, an ingenious cooling concept and a decondensation function. 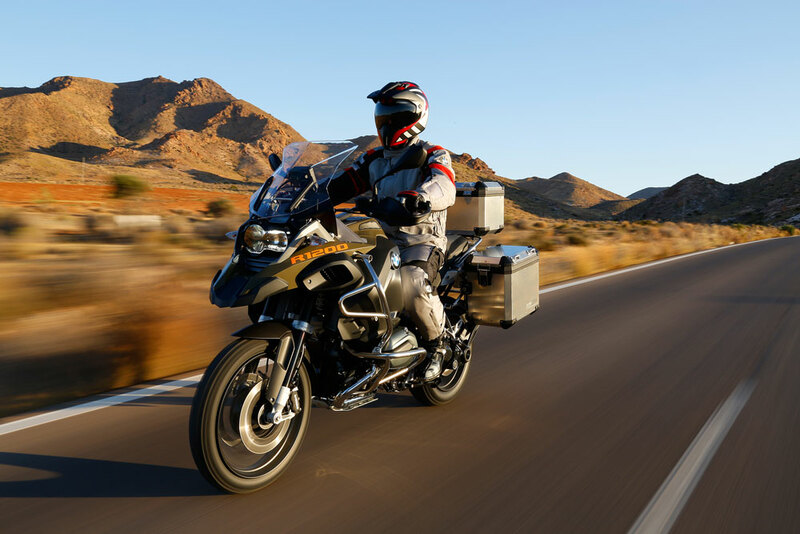 The new R 1200 GS Adventure’s bodywork and authentic design underscores its technical features and leadership as the ultimate enduro bike for world travel. • HP sport silencer by Akrapović.